Who doesn’t love watching the cinematic dancing scenes from Period Dramas? Well, we’ve compiled a few for you to enjoy below. If you have any videos or dances that we can add, please let us know! There is an email form at the bottom of this page. This film, starring Anne Hathaway, tells the story of the early life of Jane Austen. The film is partly based on the book, Becoming Jane Austen by Jon Hunter Spence. Want to Learn this Dance? This made-for-television film stars Kate Beckinsdale in the title role of Emma Woodhouse. Features Jennifer Ehle and Colin Firth in this TV Series Adaptation. 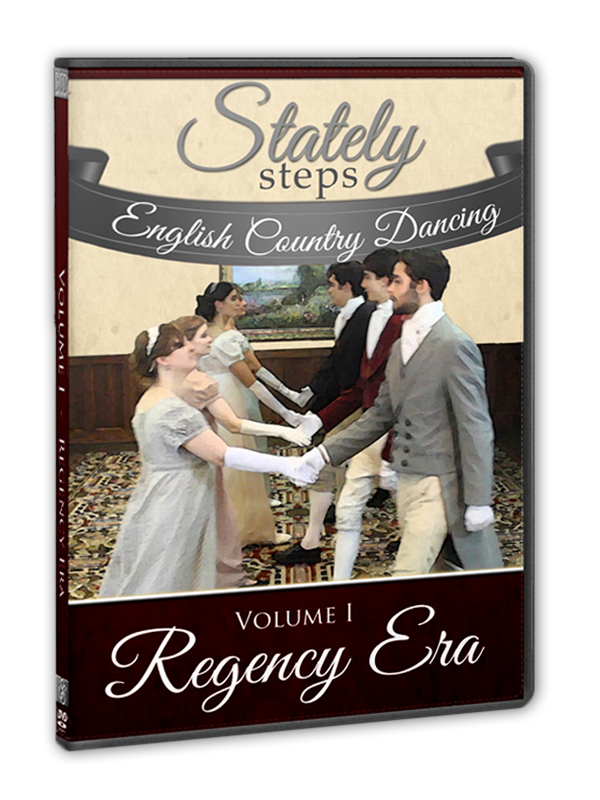 You can learn the dance on our Vol I “Regency Era” DVD. On the DVD, we teach this variation of Mr. Beveridge’s Maggot. The verbal sparring match? We can’t teach you that. I dare you not to tap your feet while watching this dance! This BBC Mini Series starred Romola Garai as Emma. At one of the balls, they dance “The Ship’s Cook” – and now you can learn it too! Just visit the “Ship’s Cook” dance page. This BBC TV Mini Series features dances like The Hole in the Wall.